Anyway, I have a fun lineup today! Do you want to see my dream cast if It Took a War was turned into a movie?! It's an epic cast, I must say. Check it out at The Pen of a Ready Writer. 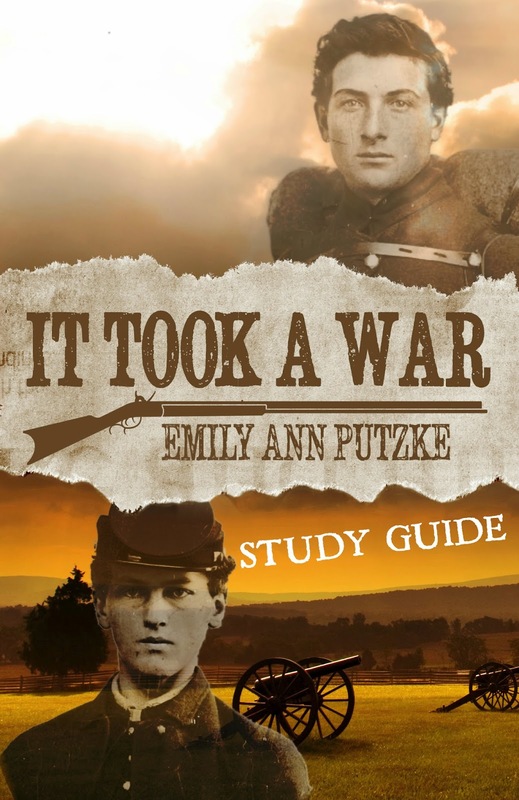 I also created a study guide targeted for middle schoolers to go along with It Took a War! I'm posting about that over on my sister's blog, The Art of Making a Home. Then there's the book I wrote when I was 12. My older siblings helped me get it bound for my parents as a Christmas gift 7 years ago! And their reviews on the back are pretty priceless! haha! As always, if you haven't entered the giveaway yet you can do so below. I'll announce the winner on Saturday! Now, go drink some hot chocolate and sing Christmas songs. It's an order. HAHAHAHAHA oh my goodness I totally forgot about those book reviews...SO FUNNY!!! Me, too!!! When I found it yesterday I just had to share it! hahaha! Thank you!! It was fun to look back on my old writing!! It makes me laugh! I have my first book. I have kept it to remind me how far I have come. What a sweet christmas gift. You've come far, but I must say your first book is still pretty spectacular. I have plans to buy it tonight and read it over the week of Christmas. I will be sure and do a review! Haha! I love the books you wrote in the past, it reminds me of the books I used to write that are still packed away in boxes. :) It's amazing to see how far you've got! "Would you like to come over?" said John. In a few minutes, Tom came over.